On September 14-15th 2017, Ata Aditya Wardana, S.TP., M.Si, a lecturer of Food Technology department BINUS University followed Food Safety Workshop entitled “Managing Microbial Food Safety Hazards in Agricultural Products”. The workshop was held by collaborating among Food Science & Technology, Faculty of Agro-Industry, Kasetsart University,Thailand as the host; SEAFAST center (Southeast Asia Food Agricultural Science and Technology), IPB (Bogor Agricultural University), Indonesia; and Food Security Center – Universität Hohenheim, Germany. He was selected as Indonesian delegation beside Indun Dewi Puspita, S.P., M.Sc. Ph.D. (Gadjah Mada University) and Binar Panunggal, S.Gz., MPH (Diponegoro University). The workshop followed also from South East Asia delegations (Malaysia, Thailand, Laos, Cambodia, Bhutan, and Philippine), Japan, and France. 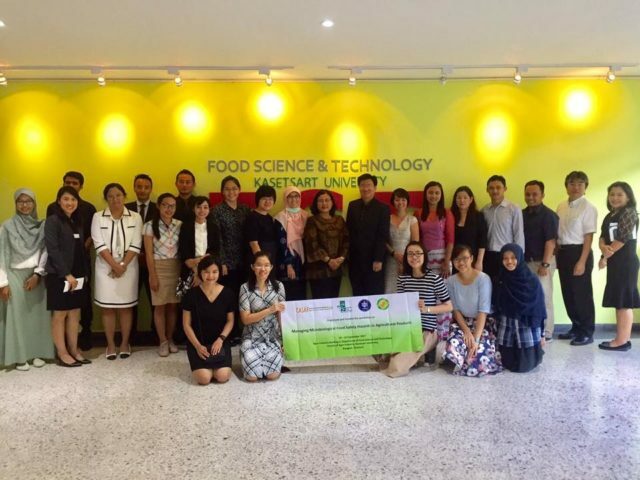 Professor in Food Microbiology, Prof. Dr. Ratih Dewanti-Hariyadi was acted as a workshop instructor. 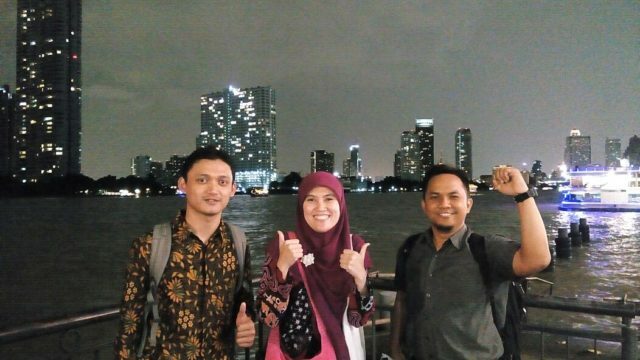 Day 1, Prof. Ratih delivered regarding “Current Status on Food Safety in South East Asia” and “Development in Food Safety Management”, then on the 2nd day about “Principles in Food Safety Controls” and “Setting up Microbial Criteria for Foods”. Moreover, participants had the opportunity to share and discuss the brief situation of current food safety and the main organization taking responsibility for the food safety system in each country they live.